In America’s free society, entrepreneurs of many kinds start businesses that create the nation's wealth. The Founders established the federal government in the Constitution, and the American people ratified it to protect the rights and property of its citizens. That meant that national defense, court systems, and political administration all became part of the U.S. government. Therefore, some taxes were necessary to support the limited functions of this new government. To raise the revenue to support government, the Founders never proposed an income tax, especially a "graduated" or "progressive" income tax that makes some groups pay higher rates than others. Instead, the Founders wanted consumption taxes – levies on imports or luxury goods. Why? Because, as Alexander Hamilton wrote in Federalist No. 21, "The amount to be contributed by each citizen will in a degree be at his own option, and can be regulated by an attention to his resources." Hamilton added, "If [import] duties are too high, they lessen the consumption…and the product in the treasury is not so great…This forms a complete barrier against any material oppression of the citizens by taxes of this class, and is itself a natural limitation on the power of imposing them" (Alexander Hamilton, Federalist No. 21, 1787). From the presidency of George Washington until about 1910, the U.S. relied on consumption taxes—tariffs on imports or duties on whiskey—to balance its budget each year. The country’s freedom, protection of property rights, and low taxes created the perfect environment for huge economic growth, and America became the world's greatest industrial power. In the early 1900s, a group called the progressives became active, and they wanted to increase tax revenue because they wanted to increase the size and functions of government. Led by Presidents Theodore Roosevelt and Woodrow Wilson, progressives believed that "government experts," often the progressives themselves, could run America better than ever before if only they had more tax revenue to create new government programs. Thus, the progressives supported an income tax that would allow politicians to determine what groups in society ought to pay what tax rates. Often progressives also wanted to regulate the products entrepreneurs sold, what prices could be charged for those products, what wages had to be paid to laborers, and how many hours per day they should work. By such regulation, progressives hoped to reward behavior and jobs that they believed made society better. Such regulations, however, would also have negative effects: private individuals might not go into business at all, or at the very least, face many problems in growing their businesses. Nevertheless, to the progressives, any negative consequences which might arise as a result of their proposed regulations seemed minor. President Theodore Roosevelt, a progressive throughout his political career, gave a speech in Osawatomie, Kansas, in which he outlined his “new nationalism:” "The really big fortune, the swollen fortune by the mere fact of its size, acquires qualities which differentiate it in kind as well as in degree from what is possessed by men of relatively small means. 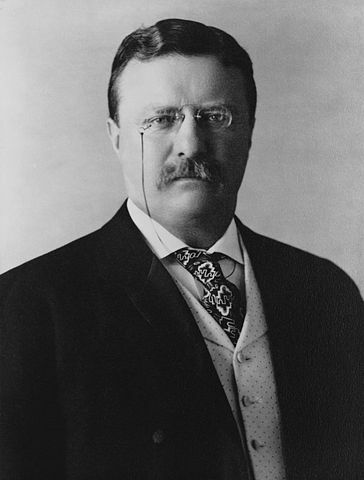 Therefore, I believe in a graduated income tax on big fortunes” (Theodore Roosevelt, “New Nationalism,” August 31, 1910). Roosevelt and his fellow progressives believed that someone who had a large fortune, "by the mere fact of its size," had to be treated differently from other people. In other words, rich people did not have the same right to their labor and their property as other groups did. The Constitution did not support taxing some groups at high rates and others not at all. So the progressives supported and achieved the Sixteenth Amendment to the Constitution in 1913, which gave Congress the "power to lay and collect taxes on incomes from whatever source derived" and at whatever rates Congress chose to put in place. The Sixteenth Amendment became law just as Woodrow Wilson became president in 1913. As a leader of the progressive intellectual and political movement Wilson wanted to start with small rates, set a precedent for a graduated tax, and then increase rates over time. Under the new tax law, the top rate was 7 percent on all income over $500,000. Progressives easily sold this law to voters because most Americans paid no income tax at all, but politicians could promise audiences that they might receive benefits from the new revenue. 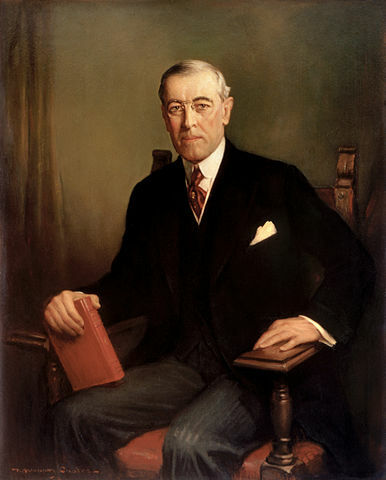 The Sixteenth Amendment became law just as Woodrow Wilson became president in 1913. Earlier, under consumption taxes, Americans chose how much tax they paid, but under the income tax politicians would vote how much tax citizens would pay. Congress slowly increased the tax on incomes of rich people. As we have seen, the income tax of 1913 started with a 7 percent marginal tax on the richest Americans. (Marginal tax refers to the practice of a tax that applies to income above a certain level; in this case, any income above $500,000 was taxed at 7 percent.) Two years later that was increased to 15 percent. During much of the 1920s, the richest Americans paid a top income tax of 25 percent. The top rate rose to 63 percent in 1932 under Herbert Hoover and then to 79 percent in 1935 under Franklin Roosevelt. The World War II years pushed it to 94 percent on all income over $200,000. Not surprisingly, with so much wealth being taxed, many entrepreneurs during the 1930s closed their businesses. Unemployment skyrocketed from 3 to 25 percent from 1929 to 1933. The U.S. was in the Great Depression, the worst economic crisis in the nation's history. From 1913 to 1943 the top marginal income tax rate had gone from 7 to 94 percent. What's more, the rates increased for all Americans, and by 1943 most American families were paying almost 20 percent of their income in taxes to the federal government. Many politicians, like Franklin Roosevelt, believed a larger, more powerful government could do more for its citizens. He defended America's transformation from liberty and strong property rights to less liberty and a strong government. 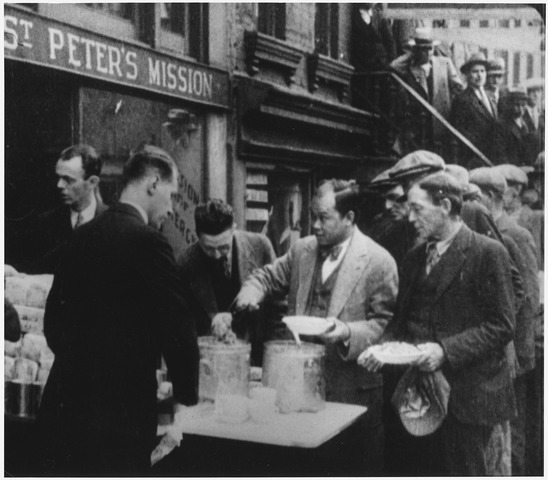 The U.S. was in the Great Depression, the worst economic crisis in the nation's history. After World War II, many Americans recognized that high taxes and bigger government may have prolonged the Great Depression. In 1945, shortly after the war ended, the U.S. Congress cut tax rates on both personal incomes and corporations. New products poured into the marketplace, and the U.S. economy flourished. Inventions such as copy machines, television, new types of housing, and fast food became part of American society. In a similar way, after the hard times of the 1970s, President Ronald Reagan tried lower tax rates on incomes and corporations, and the U.S. became a world leader in computers and new technology. America had twenty-five years of strong economic growth from 1982 to 2007. More than twenty nations, in fact, copied the low tax rates of the U.S., and standards of living often improved throughout the world. The economic record of President George W. Bush (2001-2009) was mixed. On one hand, he did get Congress to lower tax rates on income and capital gains. This increased prosperity and economic growth. But Bush also increased federal spending on many new projects and that increased the national debt. In the 2008 recession, he also promoted bail-outs for corporations such as AIG and CitiGroup through TARP (Troubled Asset Relief Program). After 2008, however, the U.S. increased tax rates and regulations once again, and the economy has again stagnated. Since 2008, the United States has dropped on the Economic Freedom Index, with some of the highest corporate taxes of any industrialized nation. High taxes mean that corporations tend not to expand, but instead, business contracts. The example of President Reagan’s administration gives us the alternatives that could once again stimulate the American economy.